ClarisHealth | Put on your cape. Your health plan may just save the healthcare system. Put on your cape. Your health plan may just save the healthcare system. Health plans are in a unique position to innovate with a trickle-down effect on providers and healthcare as a whole. It’s the plot to your favorite superhero movie (and with good reason): The odds seem insurmountable, and the path unclear but there’s a hero who sees a way forward. This isn’t just a plot line from the latest blockbuster hit. It’s very much relevant to the current state of healthcare, where rising costs and current fragmented systems are unsustainable. Who will step forward and lead the charge to change? As a linchpin of the healthcare system, health payers may just be the hero best positioned to step forward and save the day. Health plan leaders have known for quite some time that integrating systems and processes while getting everyone on the same page is key. In doing so, costs are lowered and outcomes are improved (serving as the benchmarks of a functional healthcare system). This means that health plan leaders have in some ways a head start on many of the core competencies required to unify broken systems and achieve interoperability. When we speak with payers, there’s hardly a pain point we bring up that they haven’t already thought through. Provider-payer abrasion, high administrative costs, data siloing, inefficient systems, short-staffing of talent — the list goes on. However, the approach to these issues varies. For some entities, the belief is that the system is so broken that only a single-payer approach will work. For others, they feel the best way forward is to integrate to more formally unite providers and payers. The CVS/Aetna entity, for example, announced a set of initiatives that promise to improve community health. With connections to each aspect of the healthcare continuum, health plans often hold the key. But what is the answer? Technology. Easier said than done: some health organizations have either tried to innovate with solutions that fell flat, or attempted to build their own technology only to find it outdated shortly after implementation. Pareo® exists to unify existing technology employed by health plans, supplement shortcomings, and provide clients with the type of universal access that’s all but missing in healthcare as a whole. Health plans are in a unique position to drive innovation that will spread to each part of the healthcare ecosystem. But every hero needs a superpower, and for that reason we’ve been working diligently with health plans and their payment integrity vendors to create a single source of truth. Your business partners also will appreciate the value that plugging into Pareo® brings, in that more effective insights into plan operations will allow you to utilize more third-party functionality and improve ROI. Pareo® supports alternative payment models like value-based care and other complex contracts. 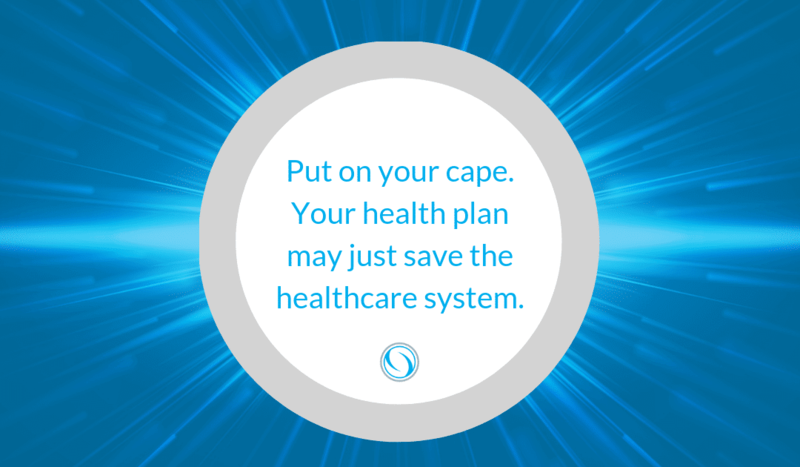 With access to the most advanced technology available, health plans can grab their capes and step forward as the new hero of healthcare.